March 17th, 2012 is a very special day in our household. My husband is of 100% Irish stock, and this will be our son’s (who is of approximately 58% Irish stock) first St. Patrick’s Day. To celebrate, I’ll be taking the obligatory minor holiday photo of him donning a minor holiday t-shirt, and posting it on Facebook for family and friends to faun over. I have to admit, it is fun! And I did miss the boat on Valentine’s Day, but I’m sure he’ll thank me for that later. For me, the best thing about St. Patty’s Day is that it is a green day. And green is my favorite color. When I hear someone say “green design” or “green home,” I think color, not eco-friendly. Though I certainly support the latter, as well, where practical. 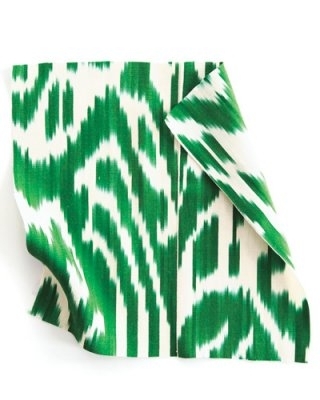 I’ve been pinning lots of green things lately – a sneak peek is below. Or check out the whole board on Pinterest. 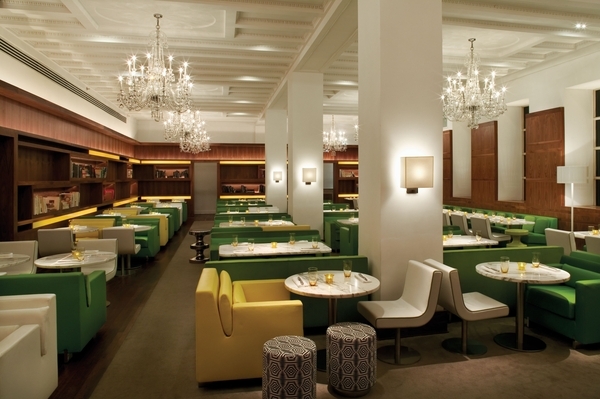 (Above) Philadelphia restaurant Barclay Prime. One of my favorite restaurant interiors. 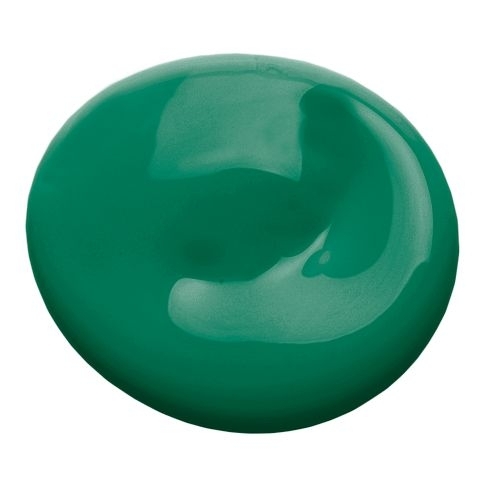 (Above) Benjamin Moore’s Lawn Green, available at West Elm.